﻿ What Has The "American Idol" To Do With Healing? I was watching the American Idol show on TV a few days ago with all the young and fantastic singers that week after week are dependent on the vote of the American people. One person has to go every week until only one idol left. It is not only the American people judging the artists, also a panel of four hard headed persons are telling them what they liked or disliked with their performance. 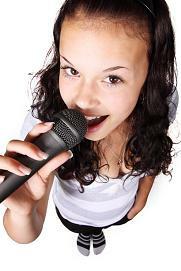 Although this is a hard school for the young singers, they grow with lightening speed in their confidence week by week. What a fantastic way of learning who they are and to discover the essential things for true success and well being in life. * you were not connected to your feelings when you sang the song. * You were in the right place and the song came out in perfect harmony. * You were all over the place and could not get it together. * You were focused and everything just connected. This is the same learning we are facing in real life which will be the reason for having or not having health and prosperity. What about if we are connecting to what we are doing in life and get into that space where nothing matters anymore. It is only you and nothing can distract you. You are totally focused on what you are doing and what you want. This is how true healing and health is created, by being in the right space and just love what you are doing. You can not be healthy when you are all over the place and focused on nothing with no feelings. At least you will not be very successful. I am not talking about financial success, although it is following the same rules, I am talking about your personal well being which you can only create by being focused on what you want and bring all your feelings into it. Study what the successful people are doing and you will see the same pattern in all of them, they love what they are doing and that is why they are healthy and successful. It is time to really study what you love to do all day long if if no other obligation would stop you? Find this part of yourself and start thinking about sharing it with other people. Watch what is happening, you might be the healthy and happy idol sooner than you think and make a living out of it. Get our FREE Newsletter about alternative medicine plus life changing ideas for a better living. Looking forward to continue talking to you. » What Has The "American Idol" To Do With Healing?